Welcome to the Fall Giveaway Festival! This event is hosted by Sassy Mama in LA, Simply Stacie, Makobi Scribe and Matter of Cents and is sponsored by RetailMeNot. The event features over 100 giveaways each valued at $25+ and an iPad2 giveaway! Thanks to RetailMeNot, one lucky reader is going to win an iPad2! 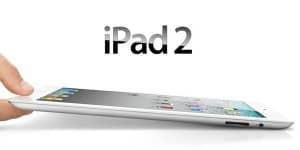 For extra entries in the iPad2 giveaway, please also visit Sassy Mama in LA, Makobi Scribe & Matter of Cents iPad2 giveaway posts. Coupon Frenzy mom sent me over! Thanks. @sweetiessweeps sent me here and I’m glad she did! Sweeties Freebies sent me here to you. Thank you. Debbie Does Coupons sent me to tell you that you are awesome! This giveaway is very exciting and Coupon Frenzy Mom sent me! Pingback: Today’s the Last Day to #WIN an iPad2 &/or a Masterbuilt 30” Electric Smokehouse! I was referred by Belly Charms after entering your Belly Charms giveaway! I heard about the giveaway through Crazy For Books and popped on over to enter! debbie does coupons sent me. debbie does coupons sent me! Debbie Does Coupons referred me. I am entering the free iPad giveaway. Debbie Does Coupons sent me. Pingback: Fall Giveawy Festival iPad2 WINNER ANNOUNCEMENT! Pingback: Fall Giveaway Festival! It's time for an iPad Giveaway!